Business applications today are increasingly dependent on the use of trusted digital credentials. Credentials are the certificates and keys that control how users, entities, and a growing number of devices connect to systems and access critical resources and data. This paper examines the Public key infrastructure (PKI), the set of hardware, software, policies, processes, and procedures required to create, manage, distribute, use, store, and revoke digital certificates and public-keys. 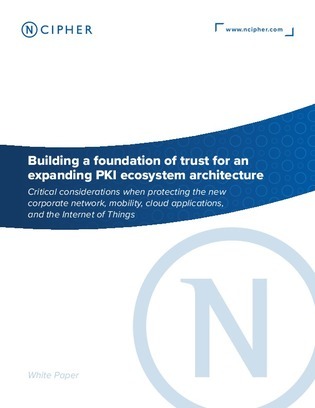 Read on to learn about the security risks of typical enterprise and government Public key infrastructures (PKIs) and how more high-value business applications and devices increasingly depend on trusted digital credentials.